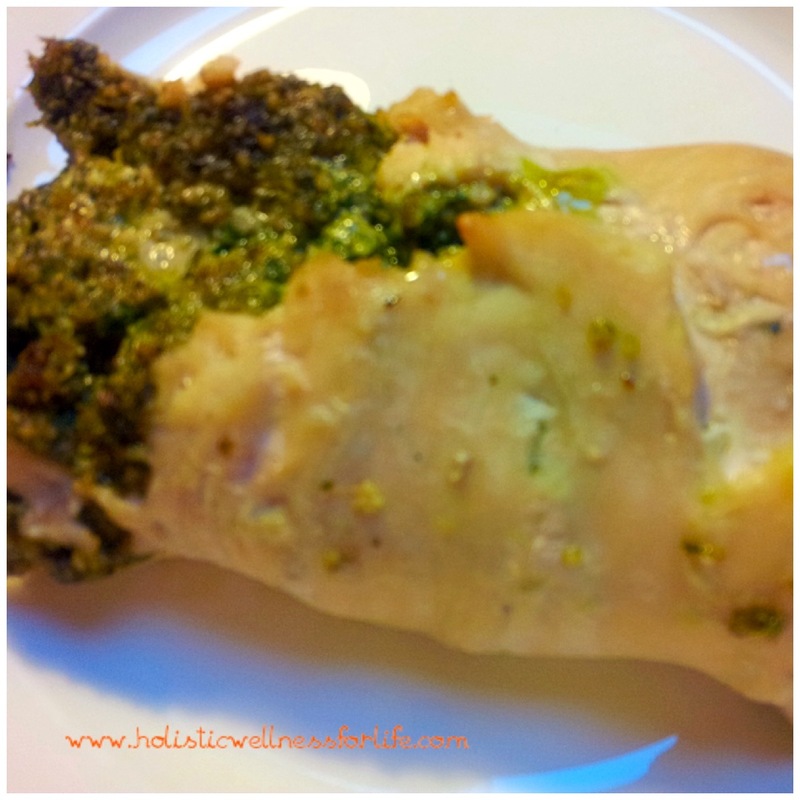 A delicious herb and nut filling compliments the tenderness of the chicken breast to form the base of the meal. 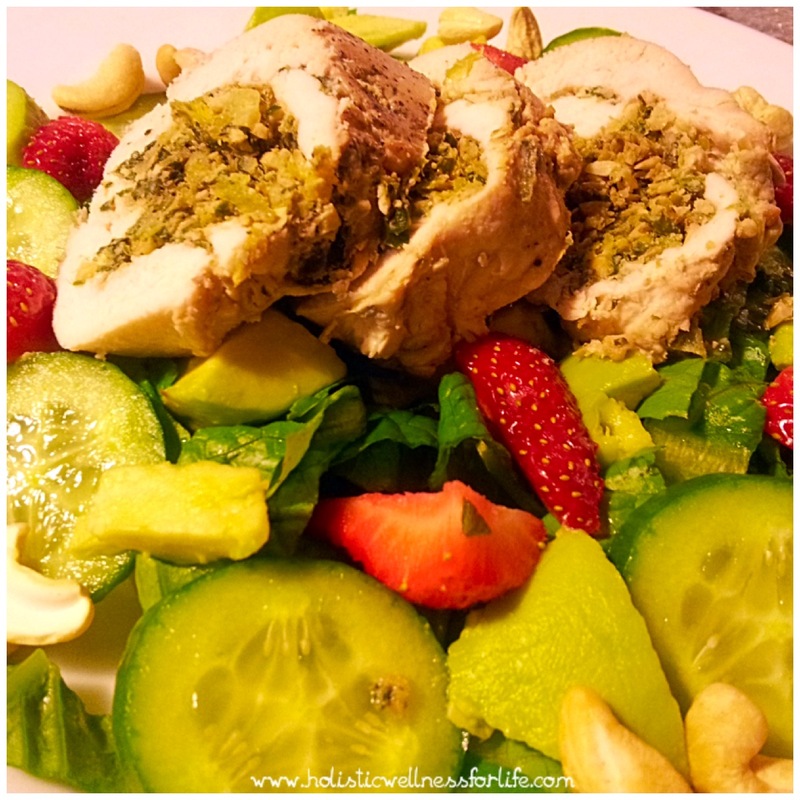 Served hot or cold, each rolled chicken breast serves three people if you have a portion as in the pictures below which highlights the importance of balancing the meal out with an abundance of healthy raw and cooked vegetables. Serve cold with salad or vegetables. 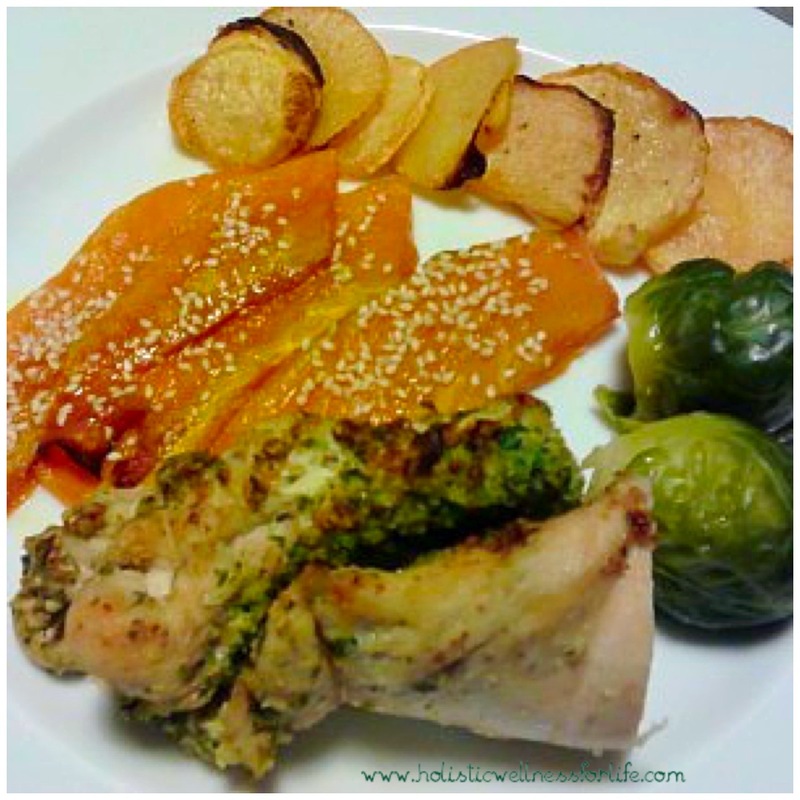 Served hot out of the pan with honey and sesame pumpkin, steamed brussel sprouts and baked swede chips. 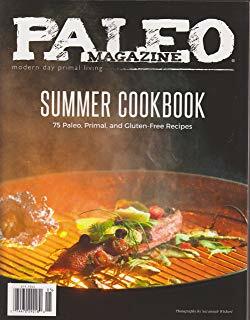 You can use as many chicken breasts as you like but l buy the free-range breasts in a pack of two. Give them a good wash with filtered water and pat dry. 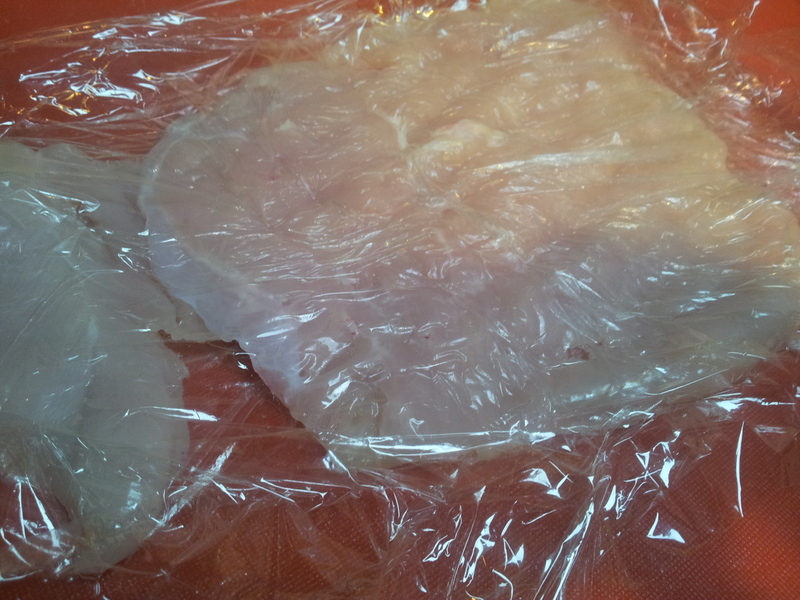 Place the chicken breast in between two pieces of cling wrap. Put a tea towel under the chopping board in preparation for the flattening of the chicken as this will make the noise less and stop the board moving on the bench. 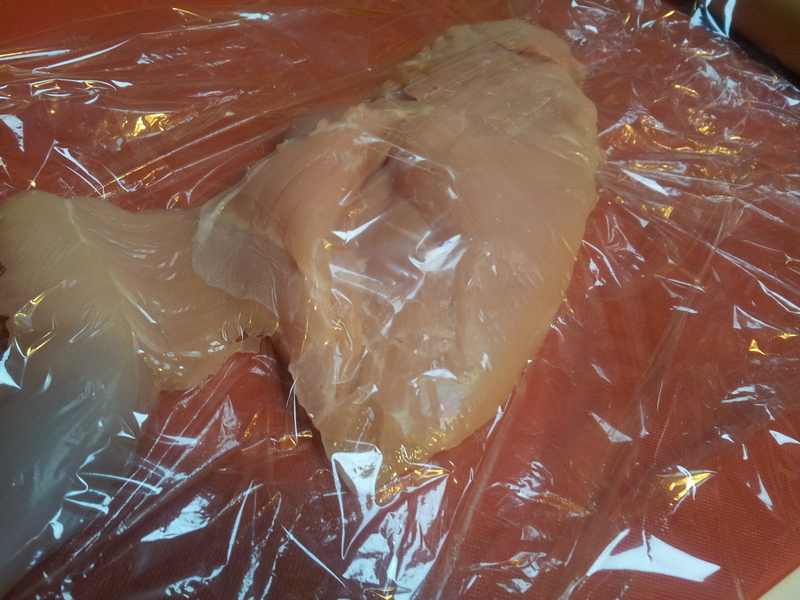 Flatten the chicken so that it is a nice shape by gently pounding it with a wooden rolling pin. Make the filling by combining all of the ingredients in a food processor, or alternatively cut and chop them by hand and mix in a bowl. Change any of the ingredients if you don’t like the flavour combination or add in some more spices. The ingredients below don’t have to be exact as long as there are a good mix of flavours. A food processor is convenient here but not essential. 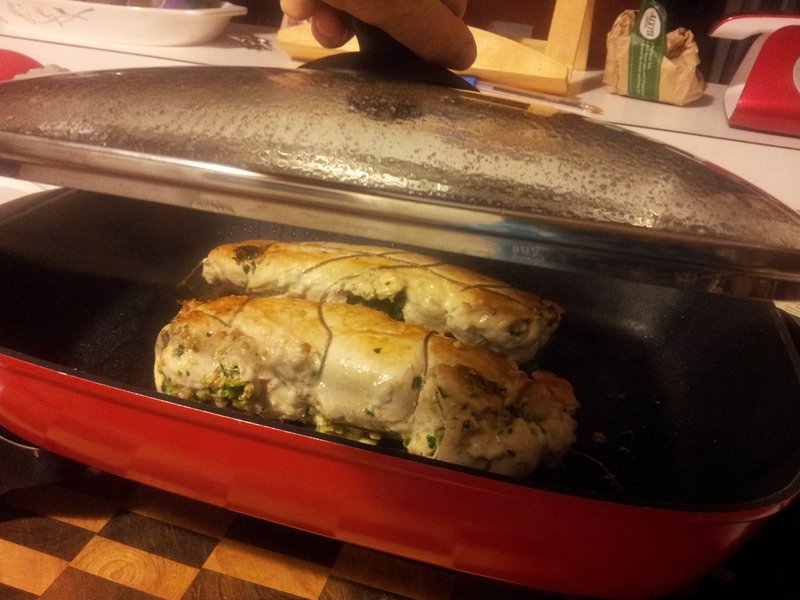 Spread the filling on top of the chicken breasts. 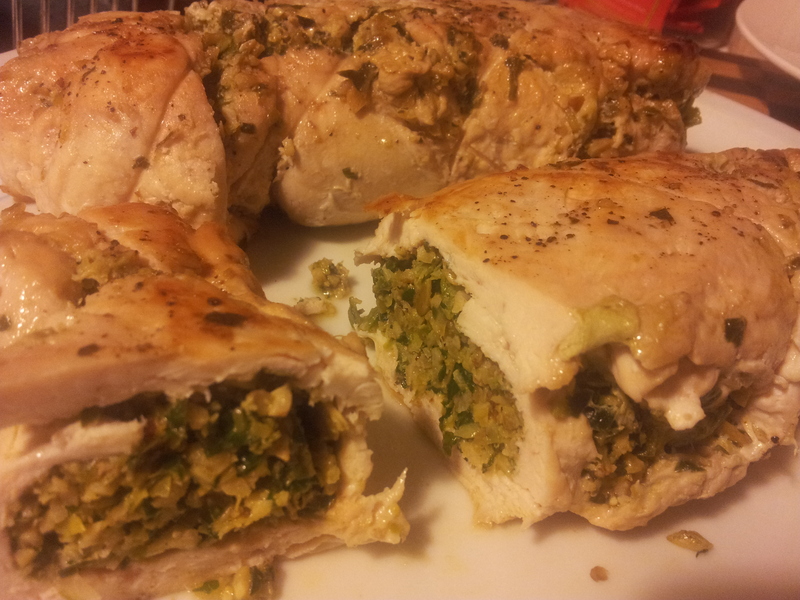 The free range chicken breasts flattened and topped with the filling. Use kitchen string to gently hold the breast in place. Tie the string at each end and push in any filling that has come out. Gently lift onto a lined baking tray and drizzle with your favourite oil, pink rock salt and black pepper. 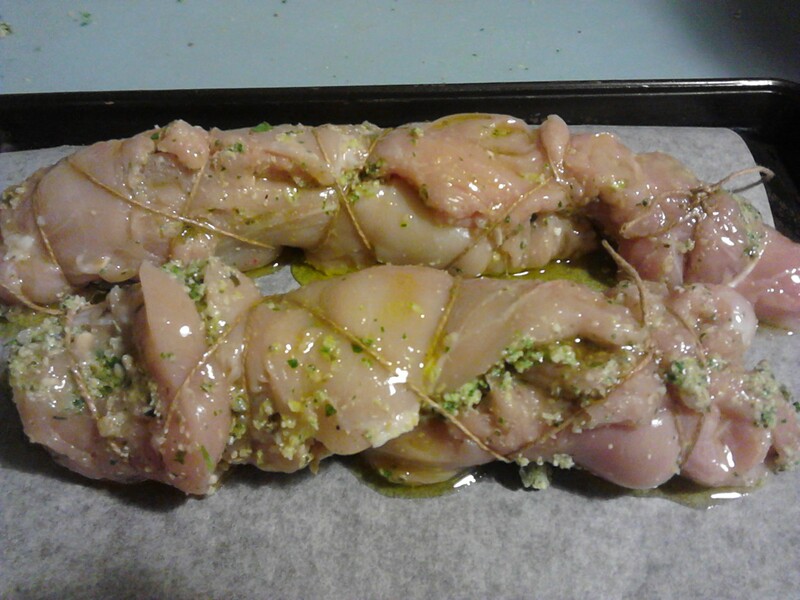 The rolled and tied chicken breast drizzled with extra virgin olive oil, pink rock salt and black pepper. Cover with foil and place in the oven. Cook until the chicken is golden and then take the foil off and let it brown or place under the grill ensuring it doesn’t dry out. 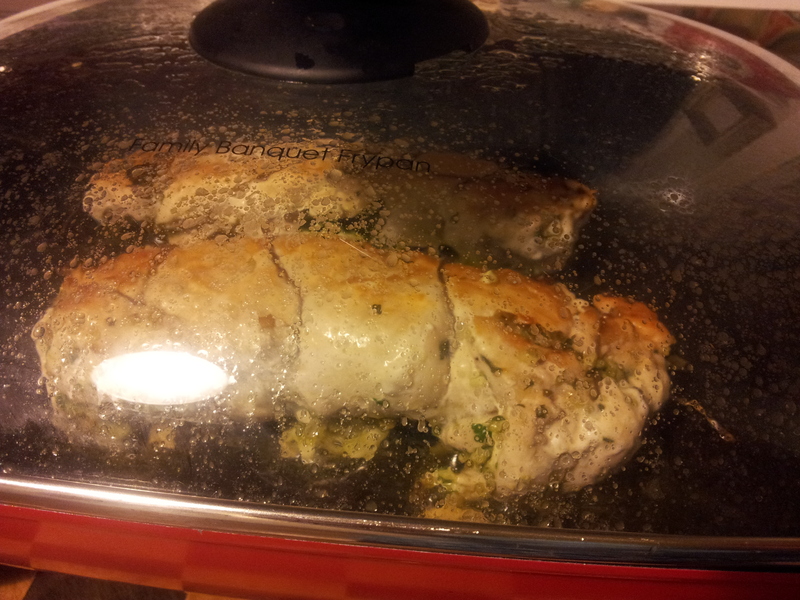 Another option is to pan fry the rolled chicken which will give a more golden appearance. Cook on a very low heat with the lid on. Both the oven and fry pan methods work well. 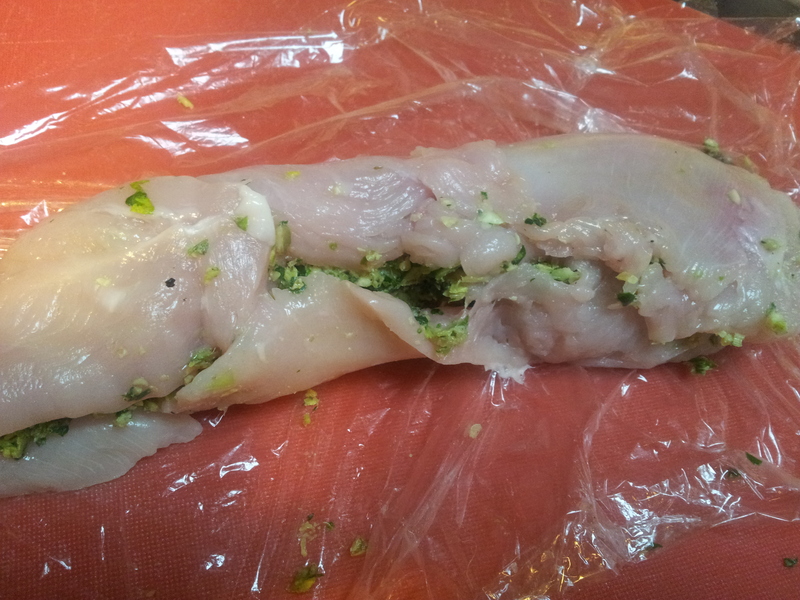 Carefully cut the string along the length of the chicken and remove. Let the chicken rest for a few minutes before serving. There are so many fillings that would be delicious with this recipe. I am going to try a pumpkin or sweet potato filling next, but the combinations are really endless. Have one for dinner and the second one cold the next day. 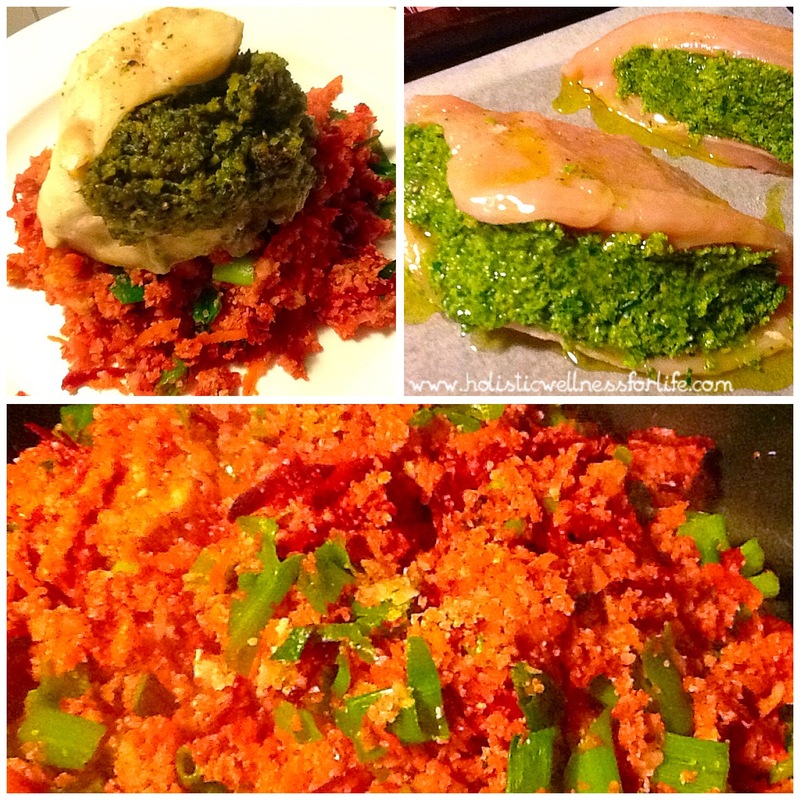 A great way to add variety to the same dish and the flavours are quite different between the warm and cold versions. 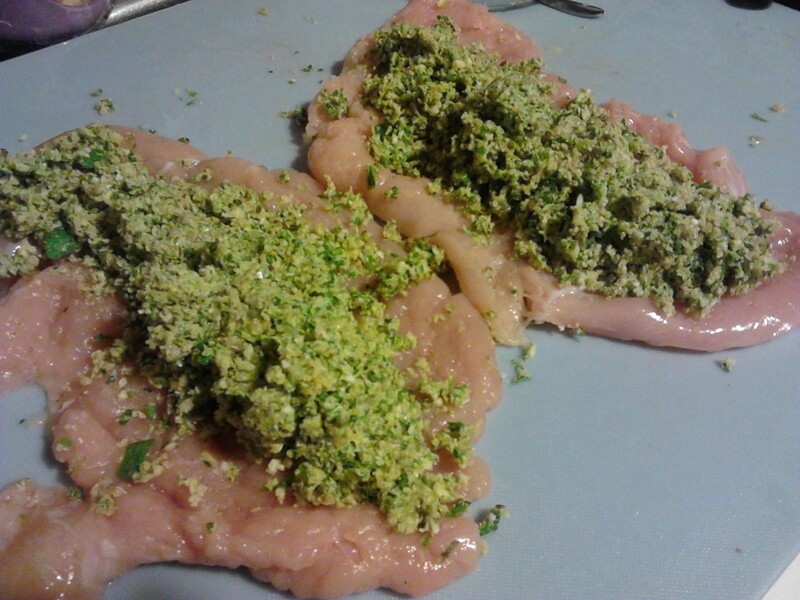 If rolling the chicken is a challenge just slice the breast down the middle and stuff with the filling. 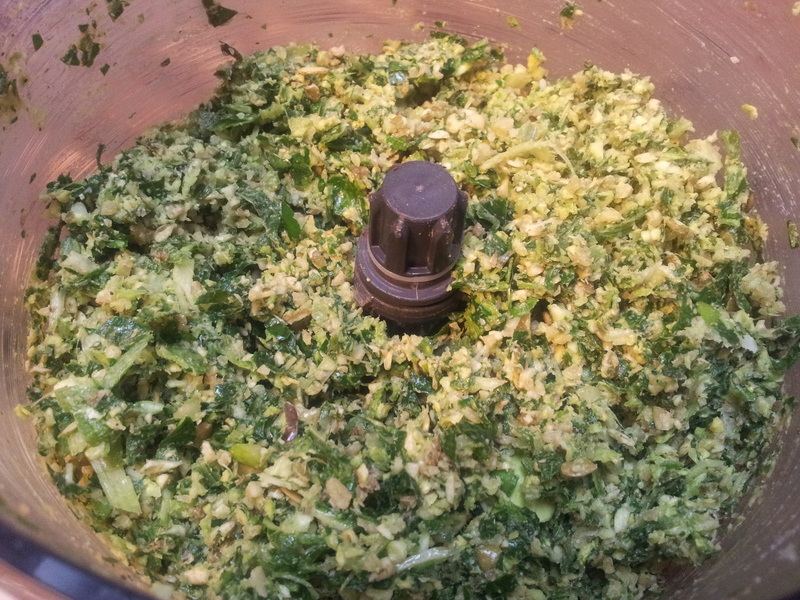 This filling in this meal was just silverbeet, spring onion green tops, coconut oil, walnuts and seasoning.